Advantage, you. 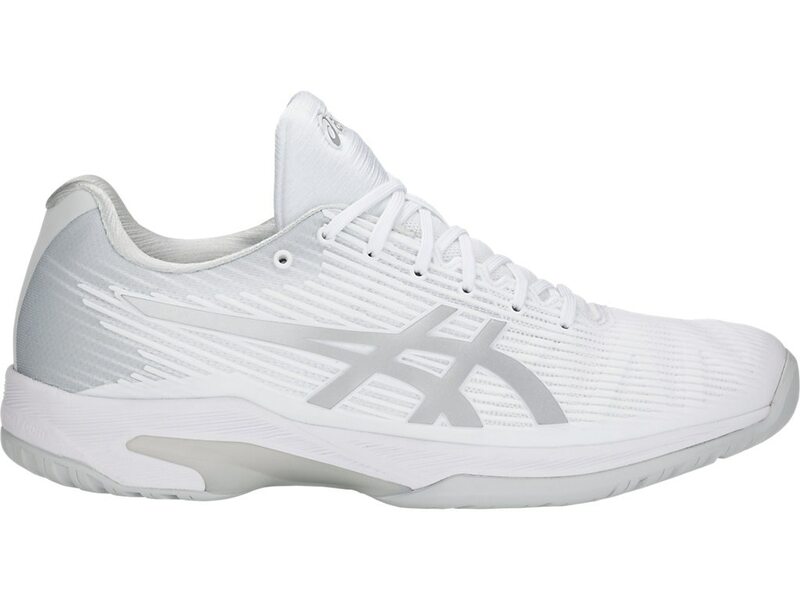 With the addition of the responsive FLYTEFOAM Midsole Technology and TWISTRUSS system, the SOLUTION SPEED FF boasts the lightest weight in the tennis shoe category, making it an aggressive competitor that's always up for a match. Heel-to-toe GEL® cushioning offers comfort and shock absorption for those quick cross-court hustles while the Flexion Fit Upper s your foot without restricting movement. PRODUCT FEATURES - FLYTEFOAM MIDSOLE TECHNOLOGY Our FLYTEFOAM technology provides exceptional bounce back and responsiveness no matter the distance, utilizing organic super fibers to help reduce packing out that traditionally happens with softer, low density foams. - AHAR OUTSOLE Acronym for ASICS High Abrasion Rubber. Placed in critical areas of the outsole for exceptional durability. - TWISTRUSS SYSTEM - REARFOOT AND FOREFOOT GEL® TECHNOLOGY CUSHIONING SYSTEM Attenuates shock during impact and toe-off phases, and allows movement in multiple planes as the foot transitions through the gait cycle. - PGUARD TOE PROTECTOR Enhanced toe durability. - FLEXION FIT UPPER Proprietary upper which provides form fitting comfort without sacrificing support. - ORTHOLITE SOCKLINER Moisture management (Ortholite is a registered trademark of ATP Manufacturing LLC).